Dr. Felix Escalas graduated in Medicine and Surgery from the University of Barcelona and specialized in Orthopaedics and Traumatology at the Rush Medical School in Chicago, USA. Dr Escalas is an American Board Certified Surgeon and Doctor of Medicine. 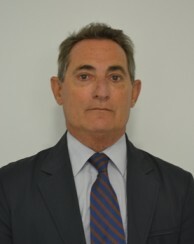 Dr Escalas’s professional experience and responsibilities include holding the positions of Junior Attending Physician at the Rush Medical Center Chicago, Chairman of the Orthopaedics Department at Hospital de la Cruz Roja Barcelona, Director of Orthopaedics at the Hospital of Sant Pau Barcelona and at present he is the Director of the Advanced Orthopaedics and Traumatology Unit at Hospital Quiron in Barcelona. Extensive training and experience in minimally invasive orthopaedic surgery, in particular in the field of prosthetic joint and endoscopic surgery, has made Dr Escalas one of Barcelona’s leading knee and hip replacement surgeons. In addition to Dr Escalas’s experience in the clinical field, the doctor has also taught at Rush Medical School, Universitat Autonoma de Barcelona and Escuela Politecnica de Barcelona. The doctor’s contribution to research has earned him numerous awards and as a member of the American Academy of Orthopaedic Surgeons he has also published several papers and contributed chapters in highly specialized books. *A Copy of Dr Escalas complete curriculum is available upon request.